Ice-skaters and Christmas shoppers have helped boost visitor numbers to Bury St Edmunds during the last month with the latest figures showing the town centre was much busier in December 2015 than the previous two years. Footfall figures commissioned by the Business Improvement District (BID) organisation Ourburystedmunds showed a weekly average of more than 83,000 people visiting the town centre in December, an increase of more than 5% on the previous year, which itself was up more than 5% on 2013. And the figures for the whole year also show an increase in numbers compared to 2014 – which bucks the trend nationally as footfall figures for the UK in total are down by 2%. 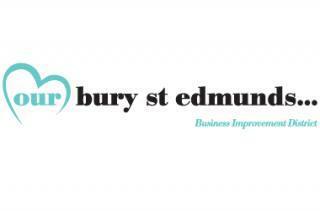 Chief Executive of Ourburystedmunds Mark Cordell said: “This is a very pleasing set of figures for December, where Bury St Edmunds has done much better than the Eastern region generally and the UK which are both sharply down on the year before. For the whole of 2015 the numbers visiting our town are also up and indeed have risen significantly on a year on year basis every year since 2012. The figures are the latest evidence that prove Bury St Edmunds is continuing to thrive in what is still a difficult climate for many other towns. Recently a number of new businesses have opened in the town centre and the number of vacant units is comparatively low. The Ourburystedmunds footfall figures are calculated based on an entry point to the town on Abbeygate Street. They are compiled for the BID by Springboard.